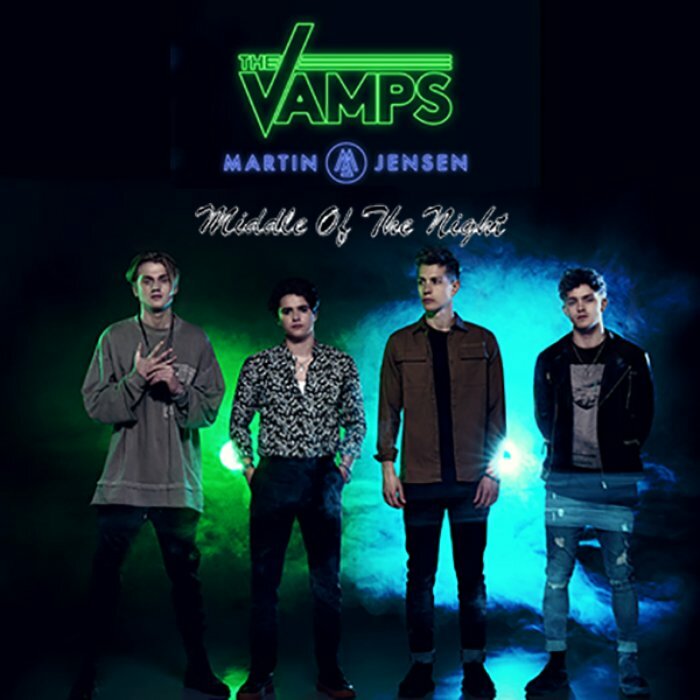 Last year British pop rock band The Vamps shared the single “All night” and now they’ve released its follow-up “Middle of the night”. The dance track is a collaboration with Danish producer and hitmaker Martin Jensen, best known for the 2016’s hit “Solo dance”, which earned him his first UK Top 10 single. The music video, directed by Mike Baldwin (Melanie C, Travis, Royksopp), sees a young couple struggling to communicate and features deaf actress Rose Ayling-Ellis. “Middle of the night” serves as the second single from The Vamps’ upcoming third studio album “Night & day”, which will be out on 14th July. It also comes with a bonus DVD full of exclusive content.